There is less than one month to go until Venturefest West Midlands (http://www.venturefestwm.co.uk/) arrives back for the third year at the NEC in Birmingham on 27th June. Entrepreneurs, investors and innovators will meet, engage and exchange ideas for co-operation and collaboration, particularly in the fields of science and emerging technologies, at this free one-day event. There is something for everybody across the West Midlands innovation community. 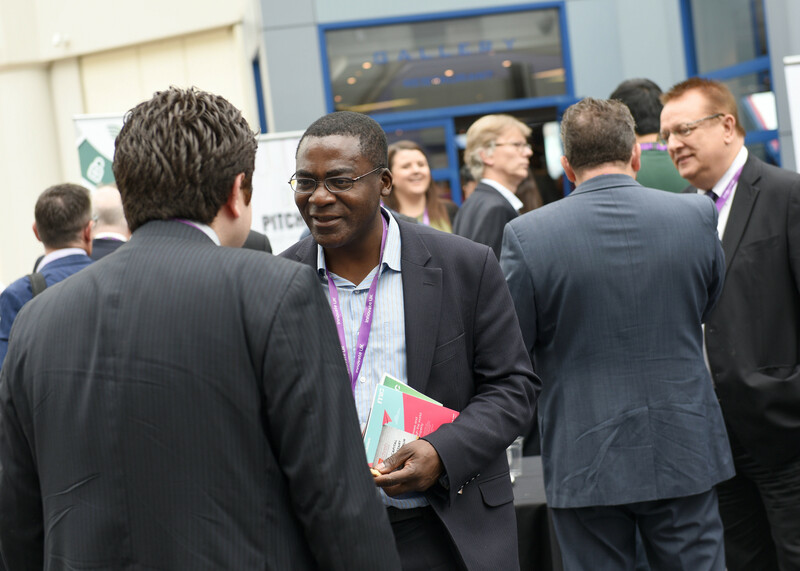 Venturefest West Midlands is the perfect event if you are starting out with a new innovative business idea, if you want to take your business to the next level, if you are an investor looking for new opportunities of if you are seeking to work with or support innovative businesses. With the aim of promoting business growth through innovation, the programme is packed full of inspiration, insights, advise and ample opportunities to meet and connect with potential investors, funders, customers, collaborators, business partners and support organisations. We are particularly delighted to announce our two keynote speakers this year. The new Mayor of the West Midlands, Andy Street, will start the day off telling about his vision for the critical role of innovation in driving up productivity and transforming public services in the West Midlands. In the afternoon, we will hear the inspirational story of Phil Cleary’s idea that was turned into a profitable, multi-million pound international business, SmartWater Technology Limited. Once again, Pitchfest (http://www.venturefestwm.co.uk/pitchfest) runs throughout the day, with local innovative businesses boosting their profile in front of a national audience of investors looking for the best new opportunities. Alongside this there will be lively debates and issue-led workshops. 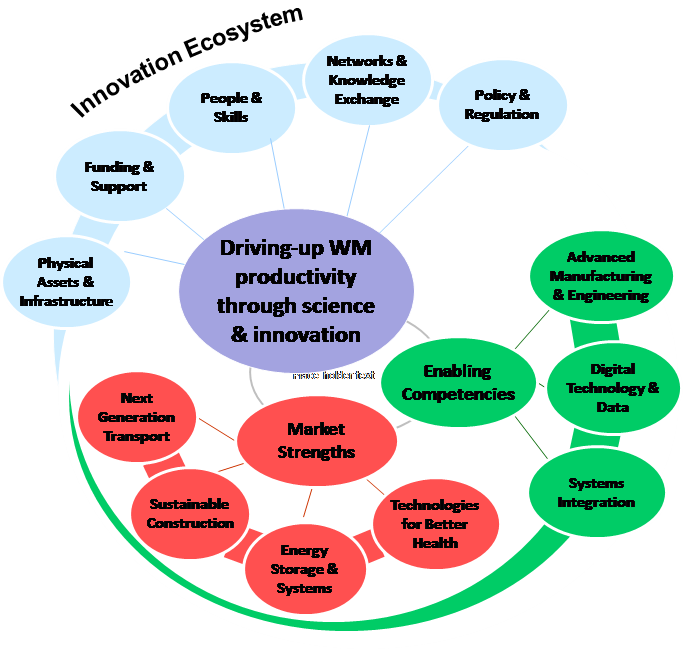 Over 30 speakers will discuss topics such as supply chain and demand-led innovation, finance for start-ups and scale ups, business journeys in different sectors, support and engagement opportunities with Catapults and Transport for West Midlands, and the implications of the West Midlands Science and Innovation Audit on local strategy and actions. Throughout the day there is a Pitchfest innovation showcase and an exhibition including universities, funders, support bodies and more, as well as spaces to meet and talk. 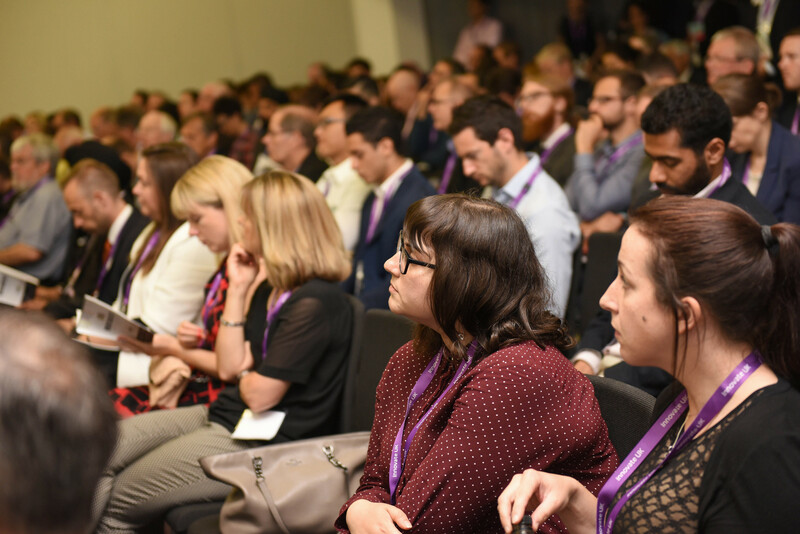 Venturefest is a highly valued regional event, led by Birmingham Science City, working with Innovate UK, business, universities, Catapult Centres, science parks, business support and professional services. We will all be there and look forward to listening, learning, meeting and sharing in a great day of connecting across the West Midlands innovative business community. Over the last 50 years the success of science parks in the UK has largely been achieved through geographic aggregation of talent often with a sector focus; creating hot-spots of critical mass, which stimulate and accelerate innovation. This model now faces historically unique drivers of change. Societal digital evolution, the blurring of sector boundaries, data becoming the focus of value and increasing urbanisation aligned with the ever-increasing rate of technology development and the associated challenge of ensuring availability of relevant skills means that arguably the 20th Century model of the science park is looking less fit-for-purpose. It remains the case that innovation is stimulated by bringing creative minds together; but by putting the same type of people together all the time in the same places similar outcomes will be generated so stifling innovation. The advance of digital technologies is driving the blurring of sector boundaries but is also providing the opportunity to consider a new (4th) generation of science parks. In the new model innovators, entrepreneurs and businesses of all sizes connect to collaborate. It should also move us beyond what we would now consider to be our ‘tech’-based clients to include the creative sectors – beyond science and into the arts. This challenges the ‘science park’ tag – a true innovation campus now needs to engage with the broadest possible mind-sets – the convergent scientists, technologists and business leaders working alongside and with the divergent minds of the creative artists. The move towards the 24/7 urban live-work-play culture means that city-based and integrated innovation campuses will become the real sites of innovation. The social evolution that has influenced the lives of tomorrow’s entrepreneurs leads them to readily accept a non-spatial definition of ‘place’ as one driven by a sense of belonging, a sense of ‘place’, not a geographically bounded location. Hence, ‘GenZ’ entrepreneurs will naturally look beyond their locations in their working lives and the very nature of science parks will need to keep pace with these changes to ensure they meet the needs and work patterns of their future clients. The future effectiveness of these ‘places’ will be determined by the availability, quality and efficiency of the web infrastructure serving the location; in turn the web infrastructure will determine the strength of affiliated digital communities and that will determine the pace of innovation. It is with this outlook that we have developed a strategic plan for what was Aston Science Park and created the Innovation Birmingham Campus. Innovation Birmingham’s aim is to work within Birmingham’s city centre to address the needs of Greater Birmingham’s knowledge-based economy. It is based on a belief that the lives of Greater Birmingham’s citizens will be improved considerably by catalysing the connections, communication and collaboration between digitally-driven start-ups, corporations, the public sector, academia and the city’s inhabitants. Innovation Birmingham orchestrates a connected innovation community through the provision of facilities linked to its 30 Gig/s web infrastructure. We aim to catalyse digital entrepreneurship through an accelerator, two incubator programmes and a community of digital businesses, through technology and demand-led innovation. 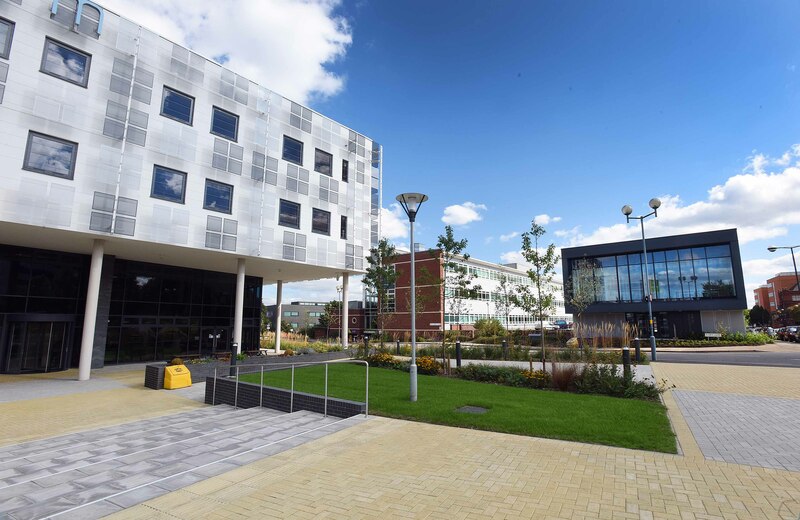 There are currently over 150 businesses, employing 1,100 people, located in the three buildings on the Innovation Birmingham Campus. The connected real-estate ethos has been embodied in the design, delivery and now operation of the new iCentrum® building which opened in April 2016. The building has been designed to promote community dynamics, striking a balance between order and chaos with a proactive and energetic management catalysing interaction. A physical community is connected to the citizens and business community of Birmingham across all sectors through an active meeting and events programme. Through this ‘without walls’ strategy Innovation Birmingham looks to empower borderless innovation by engaging digital champions and communicators in globally connected local debates to overcome local limiting factors on growth in Birmingham’s knowledge economy. The metrics suggest that science parks do not apparently achieve their full catalytic potential in terms of GDP impact. Arguably, in part this is because few of them have exploited the whole opportunity offered by global, even regional/local exchange, collaboration, partnerships and resource sharing. Stakeholder requirements and cultural differences have prevented the development of powerful and sustainable alliances. It is our contention that an alliance of trusted interconnected centres with common interests and requirements around knowledge economy-led regeneration is the way forward; indeed may become essential in a post Brexit world where Public sector financial support becomes even more scarce. 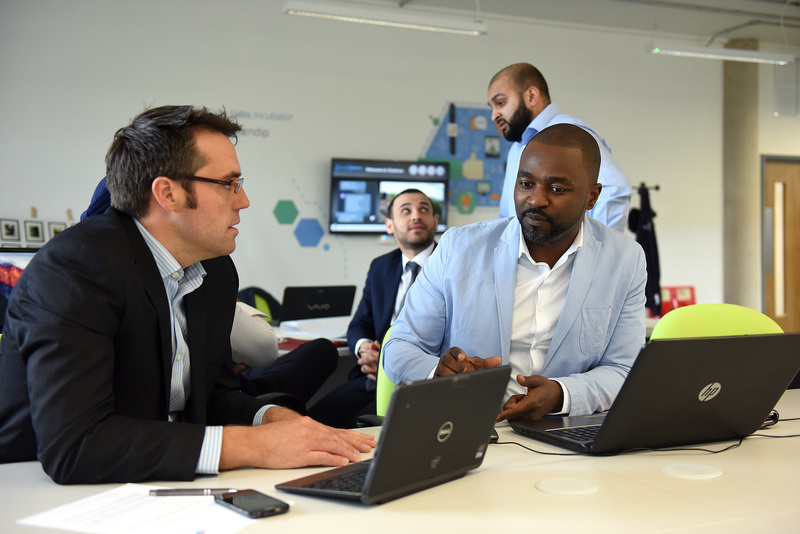 Innovation Birmingham is a founding member of Cisco’s National Virtual Incubator network, which currently links seven centres across the UK utilising the latest video collaboration technology to promote connected collaboration; we also have agreements with the DMZ incubator in Toronto. Whilst more needs to be done to develop and expand on these initial linkages, they exemplify the concept of an alliance of centres of innovation. Innovation Birmingham operates the Innovation Birmingham Campus, but it is a Knowledge Economy business. Whilst our main income is generated from property, business success is driven by the continued development and support of a thriving creative community of collaborating entrepreneurs and innovators; based on the campus, integrated into the city and connected to world. As we continue to develop our strategy, with three further buildings planned – the first to be started in 2017 with pre-lets confirmed – the Board of Innovation Birmingham and Birmingham City Council are actively seeking investment in exchange for equity to support the continued development of Innovation Birmingham and the Campus as a next generation innovation community. For those interested in the further development of this alliance model, we would be keen to open a dialogue. We are also keen to explore means of providing ready access to early stage and growth venture capital to accelerate the growth of our clients. Developing the region’s expertise in innovation was discussed earlier this month by candidates for the role of West Midlands Mayor. 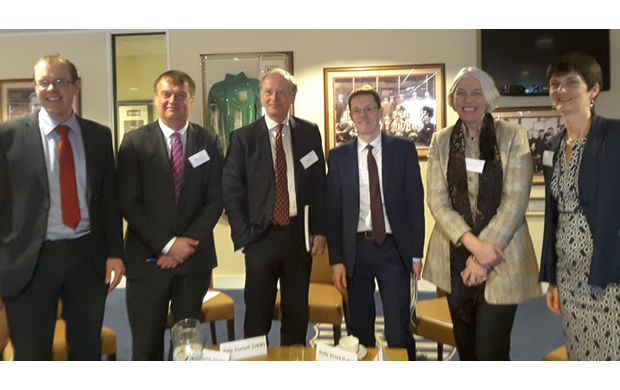 Birmingham Science City invited all of the candidates to take part in hustings focused on innovation at the West Bromwich Albion football ground. Four candidates took part: James Burns (Green), Beverley Nielsen (Liberal Democrat), Pete Durnell (UKIP) and Andy Street (Conservatives). The event was chaired by Andrew Sleigh, deputy chair of Birmingham Science City. Each candidate gave an open address to the audience, highlighting their views on the topic. Every speaker praised the West Midlands for its continuing record in delivering cutting-edge work and products, and preparing itself for the future of science and technology. Funding was raised as a key issue, with the West Midlands needing to attract more investment into science and innovation. Street noted that there needs to be an economic solution to improve the region’s productivity – such as investing in infrastructure and skills development. Meanwhile Burns proposed that support for SMEs should be consolidated, a West Midlands bank should be set up to provide more capital, and community development financial institutions should cater for those without capital. Nielsen proposed the creation of a £1 billion innovation fund, while Durnell agreed that some of the region’s towns needed more finance and mentoring. Each candidate also welcomed the West Midlands Combined Authority’s Science and Innovation Audit (SIA), which is currently underway, as identifying areas of excellence and new opportunities for the region. Further devolution to the region would have a positive impact on the West Midlands according to Burns, allowing the region to explore its untapped potential – a comment echoed by other candidates. Street also noted that innovation was not locked into the governance of the West Midlands Combined Authority yet, but felt it needed to be. While health isn’t part of the mayoral remit, the speakers were asked to comment on how innovation in the NHS, and reform through its Sustainable Transformation Plans (STPs), could make it more economically sustainable. Nielsen recognised that health is a massive area of opportunity, with the West Midlands able to become a health innovation lab. Street noted that sharing best practice would be vital to promoting innovation and encouraging greater efficiencies. Health was also an area for concern, with Durnell raising issues over cuts to the NHS, while Burns mentioned a lack of transparency around STPs. The candidates were also told that there is a severe lack of available power in the region – so how would they provide enough power for innovative companies? Both Street and Burns emphasised the importance of energy efficiency, with Burns pointing out that a localised resilient supply such as a local community energy company could plough back profits into generating more energy. Nielsen and Street both highlighted the need for innovation in areas such as housing, with Nielsen also wanting to secure more funding for battery storage or Combined Heat & Power (CHP) systems, building on local research and development. Another question focused on promoting the region as young, digital and diverse, and a number of the speakers emphasised the importance of digital skills in the West Midlands. Nielsen stated that more money should be invested in digital inclusion in less deprived and privileged areas. Digital skills are critical, explained Street, who proposed a ‘Digital Boot Camp’ with Further Education colleges. Durnell explained how he supported the roll-out of broadband and educating people about how to use it best. To round off the discussion, Andrew Sleigh asked the candidates about the role of public services as an early adopter and a driver for innovation. How can the Mayor re-architect how public services adopt and procure services? Street and Durnell responded by highlighting the importance of working with, and learning from, the private sector. Burns explained that cross-sector working would be crucial for this issue, while Nielsen would use procurement to drive the multiplier effect and help to grow SMEs. The event was very well attended, with all candidates agreeing that hustings focused on a topic like innovation allowed them to take part in some in-depth discussions and thinking. The Birmingham Science City Alliance is all about partnerships and collaborations across the local innovation ecosystem. Networking is an invaluable tool to help develop successful partnerships. Done correctly, it helps to create new relationships, leading to successful collaborations, new opportunities, cultivated friendships and a source of professional support and inspiration. In the following blog I will share invaluable tips that have helped me make the most of all networking events that I attend, and point you to some innovation related events and networks that you may wish to get involved in. 1. Arrive early. It’s almost counter-intuitive, but showing up early at a networking event is a much better strategy than getting there at a later time. As an early attendee, you’ll notice that it’s calmer and quieter – and people won’t have settled into groups yet. It’s easier to find other people who don’t have conversation partners yet. 2. Have a plan. Since every person has value, it’s essential that you know what yours is. Before you attend any networking event, get clear on what talents, strengths, skill sets and connections you can bring to the table. Map out what you want to talk about, particularly how you may be able to help other people, either now or in the future. 3. Ask easy questions. Don’t wait around the edges of the room, waiting for someone to approach you. To get the conversation started, simply walk up to a person or a group, and say, “May I join you” or “What brings you to this event?” Don’t forget to listen intently to their replies. If you’re not a natural extrovert, you’re probably a very good listener – and listening can be an excellent way to get to know a person. 4. Forget your personal agenda. Remember, networking is all about relationship building. Keep your exchange fun, light and informal – you don’t need to do the hard sell within minutes of meeting a person. The idea is to get the conversation started. People are more apt to do business with – or partner with – people whose company they enjoy. If a potential partner does ask you about your skills, product or service, be ready with an easy description of your organisation. Before the event, create a mental list of recent accomplishments, such as a new collaborations you have started, business you’ve landed or project you’ve completed. That way, you can easily pull an item off that list and into the conversation. 5. Share your passion. Win people over with your enthusiasm for your organisation, product or service. Leave a lasting impression by telling a story about why you were inspired to create your company or pursue your professional interests. Talking about what you enjoy is often contagious, too. When you get other people to share their passion, it creates a memorable two-way conversation. 6. Smile. It’s a simple – but often overlooked – rule of engagement. By smiling, you’ll put your nervous self at ease, and you’ll also come across as warm and inviting to others. Remember to smile before you enter the room, or before you start your next conversation. And if you’re really dreading the event? Check the negative attitude at the door. 7. Never dismiss anyone as unimportant. Make it your mission to discover the value in each person you talk to. Ask questions and listen with interest. Don’t make the mistake of discounting people due to their titles. Someone you meet may appear ‘junior’, but they may have valuable connections or knowledge you’d never learn about if you’d dismissed them. Then, when the conversation ends, remember what that person has to offer as you move to the next. 8. Connect the dots. Once you begin to listen to people and learn what they can bring to the table, you’ll start realizing how one person in the room may be able to help another. Make it a point to connect people you feel have something of genuine value to each other. When you go out of your way to make those potentially promising connections, you’re doing your part to make the networking event a success. 9. Remember to follow up. It’s often said that networking is where the conversation begins, not ends. If you’ve had a great exchange, ask your conversation partner the best way to stay in touch. Some people like email or phone; others prefer social networks like LinkedIn. Get in touch within 48 hours of the event to show you’re interested and available, and reference something you discussed, so your contact remembers you. 10. Believe in the power of networking. When you believe that the true value of networking lies in helping others and you do your part, you’ll soon discover magic happening all around you. The beauty of this approach is that you never know when that magic may cast its spell on you. On the events page of Birmingham Science City Alliance website you will find a whole range of innovation-related networking opportunities taking place in the West Midlands all the time. There are also a number of Groups and Networks regularly convened with or by Birmingham Science City, with each group contributes towards achieving our objective of building and maintaining a thriving innovation ecosystem, catalysing collaborative activity and strengthening our collective expert voice for innovation. But perhaps the best event of the year to extend your innovation networks is Venturefest West Midlands, where 600-700 innovators, entrepreneurs and investors will be convening on 27th June 2017. Birmingham Science City is an alliance of public, private and university stakeholders working together to stimulate and promote science and technology driven innovation for business growth and improved quality of life in Birmingham and the West Midlands. This blog lists key achievements across the BSC Alliance in 2016 against each of the three objectives of the new constitution. Those in italics have been significantly enabled by the BSC Executive Team. Birmingham City University secured £14m of government funding toward the STEAMHouse Innovation Centre at Digbeth working with the Creative sector. Innovate UK has established a regional manager post that has linked well to the BSC Alliance. It has been a busy but successful year for the small BSC Executive team and all the BSC Alliance partners – but we look forward to more connecting, catalysing and comment in 2017!